Crafted from signature peau douce fabric, Eres' bikini is designed to streamline your silhouette. 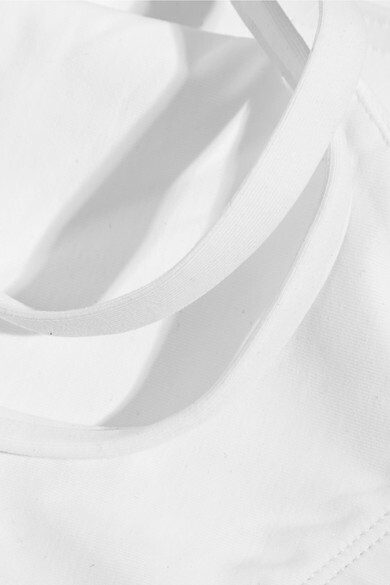 This classic white set is from the label's 'Les Essentiels' range – a collection of timeless swimwear staples. The briefs are designed with a wide waistband for a supportive and flattering fit. Shown here with: Eres Bikini briefs, Miu Miu Sunglasses, Arme De L'Amour Bracelet.